If you are looking for summer excursions based around affordable family fun than you have come to the right place. All you need to bring is sunscreen, shades and the kids and we can provide the rest in the form of water parks, a trampoline park and many other authentic experiences. What follows is an insider&apos;s guide of recommendations of Hendricks County activities from someone who has lived and worked here for more than 10 years. You may want to check out all of these attractions or use it as a foundation to create your own trip based on your interests and length of stay whether that is for a day, weekend or even longer. I would suggest spending at least a day at Splash Island Family Waterpark in Plainfield, which boasts more than 4 acres of water fun including waterslides, a lazy river, an interactive children&apos;s play area and so much more. What makes this attraction even more attractive is the adjacent indoor facility, which families can also utilize as part of their admission. The indoor experience includes a large children&apos;s play area with the plastic tunnels that the kids love, foosball and ping pong tables, a miniature version of the outdoor water park, basketball courts, exercise equipment, a running track and more. But the fun doesn&apos;t stop there. How would the family like an indoor 3D trampoline experience? Talk about fun and exercise at the same time. 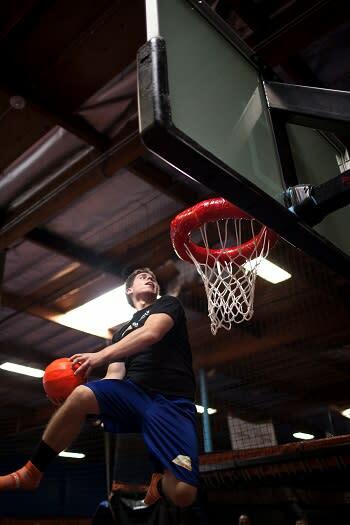 The family will love flipping into foam pits, using a trampoline to dunk a basketball or a game of dodgeball like never before at Sky Zone Indoor Trampoline Park in Plainfield. If you plan this activity, I highly recommend calling first to reserve a jump time. When you arrive, all you need to put on are their patented Sky Socks and you are ready to jump! Looking for something that perhaps is a little less active, but that the entire family will still enjoy? I recommend uPaint Pottery Studio in Plainfield where you can pick a piece of pottery like a super hero figurine, a plate, mug or perhaps a crown and then get creative by painting it however you like. Once you&apos;re finished, your creation must be fired in the kiln before it is ready. So if you are from out of town, you won&apos;t get to take it that day. In fact, depending on your length of stay, the fine folks at uPaint may have to mail the finished product or products to you. But the good news is you don&apos;t have to clean up the mess. They will take care of that, too. After all this activity, I bet you are wondering what family-friendly restaurants we recommend. 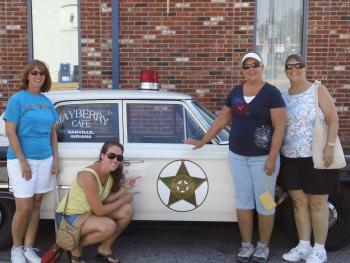 Our first choice would be the Mayberry Cafe in Danville. This is a must-see attraction with great food and atmosphere as this destination restaurant pays homage to The Andy Griffith Show. Make sure to get your picture taken out front with Barney&apos;s squad car and make sure to save room for Aunt Bee&apos;s pie. Each child even gets a token that they can trade in for a prize if they clean their plate. That is just a mere sampling of the family fun opportunities each summer in Hendricks County. Other highlights include Xtreme Laser Tag, Monster Mini Golf, Gill Family Aquatic Center and Natural Valley Ranch. For more information on these locations or more family fun activities, click here. Accommodations - We have some great hotel options if you plan to stay for more than one day, check out all of our hotels here. Restaurants - You can see a full listing of all of our restaurants here. Events - I highly recommend checking out our extensive Events Calendar once you decide what dates you are planning to visit as our summer is filled with festivals, live music and much more. Extend Your Stay - Just outside of Hendricks County, I highly recommend experiencing The Children&apos;s Museum of Indianapolis as we are just minutes from Indy.